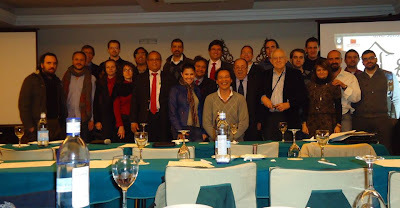 The International Workshop on e-health in Emerging Economies (IWEEE) keeps getting better on each edition ! This time we celebrated it during the days 11th and 12th of January in Granada, Spain. IWEEE is organized by GNU Solidario, and it has become the central point to discuss Free Software in Health . As our friend Cesar Brod mentioned, IWEEE 2012 has been the most successful and collaborative of all. Two days of very interesting presentations and a very productive round table.